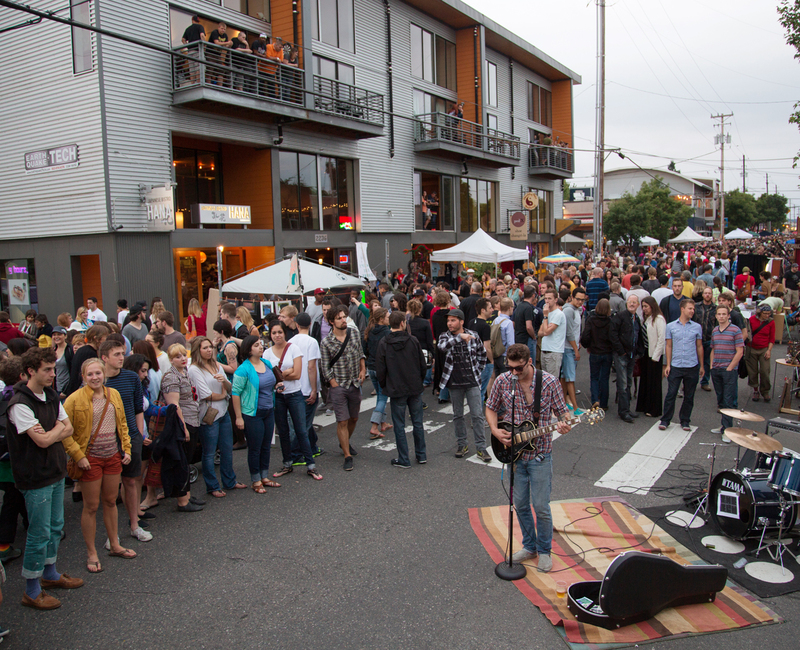 If you are looking for a street full of diversity make your way over to Alberta Street. This neighborhood has Blocks of art, culture, and an interesting Portland vibe. This street otherwise known as the Alberta Arts district sports tons of artwork; murals on the side of buildings, as well as cozy coffee shops, funky gift shops, and great restaurants. Like many streets in Portland they all distinguish themselves in different ways. 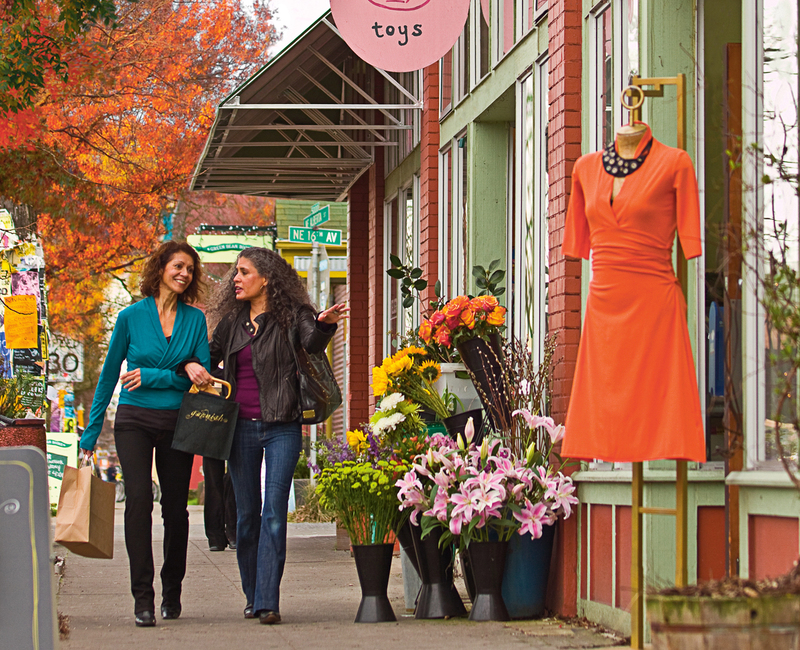 This street is one of the most diverse in the city with all different types of people and stores. If you are looking for some good people watching or just a fun evening outside make a night of one of the Last Thursday festivals. Last Thursday falls during the summer months on every “last” Thursday of each month.. Artists, musicians, vendors and performers set up shop on the street and welcome all to come out. The street is closed to vehicle traffic during this time (6-9:30pm) so people can fill the streets and enjoy the festivals. Most of the businesses on the street stay open , if you get hungry or want to take a break from the street festival you can stroll along the sidewalk and grab a treat from salt and straw or another great neighboring restaurant. You still have time to check out this months event as this Thursday is the Last Thursday of July!! (wow this month flew by) . If you aren’t free on the Last Thursday another great thing to keep in mind about Alberta st is their retail happy hour. Yes, retail happy hour! If you love to shop and want some unique things, make your way there on Wednesdays from 3-6pm, with over 40 Alberta street offering bargains! 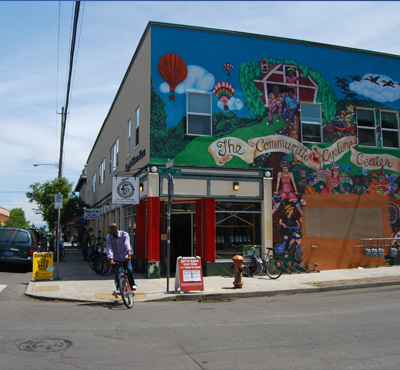 The growth and development of Alberta street has created the Real Estate Market to take off in the surrounding neighborhood. This neighborhood is filled with Broad Shouldered Bungalows, Portland Foursqures, small scale Bungalows and lots of condos and townhouses. Access to Public Transit and the freeways is easy from the Alberta Arts District. 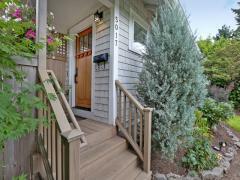 Check out my listing at 5017 NE 32nd ave, a great remodeled Urban Oasis.